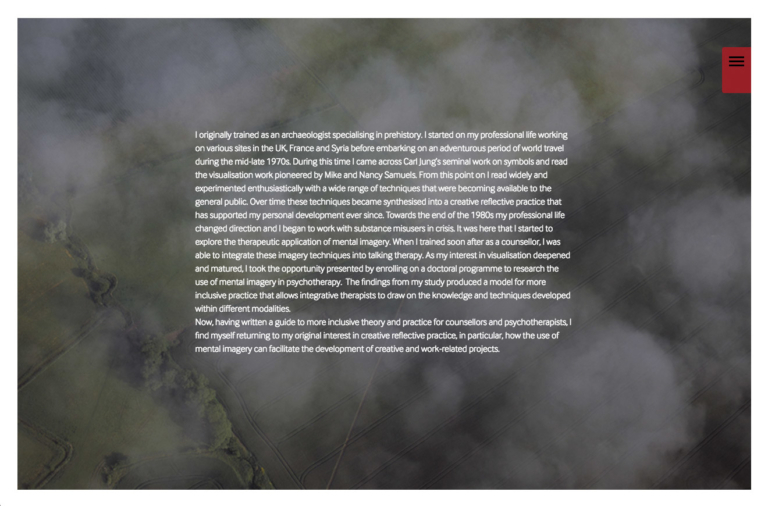 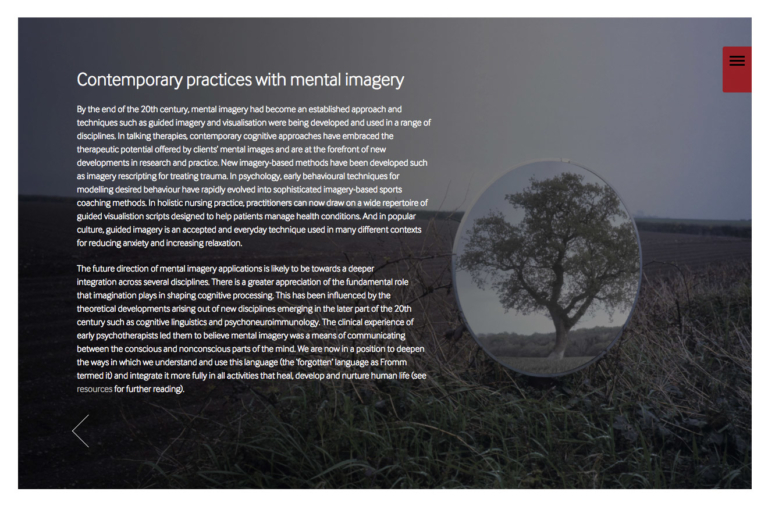 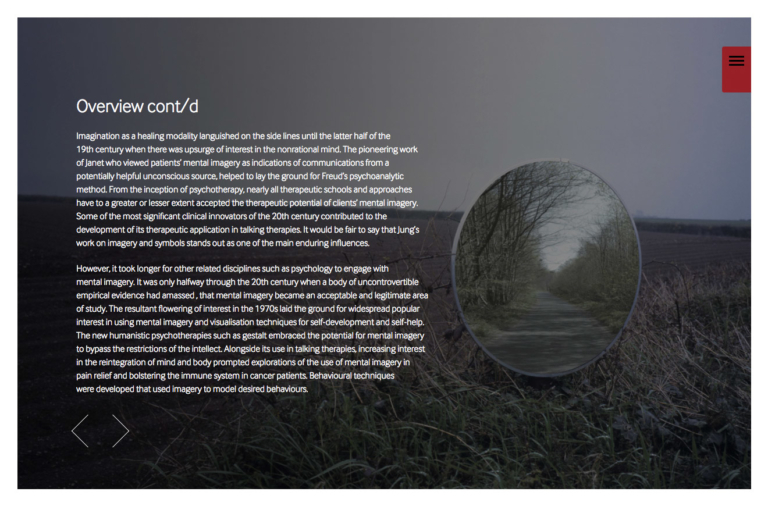 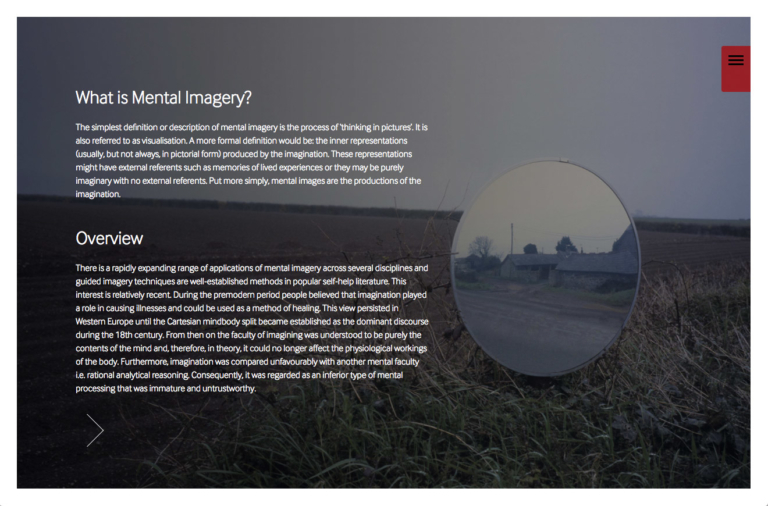 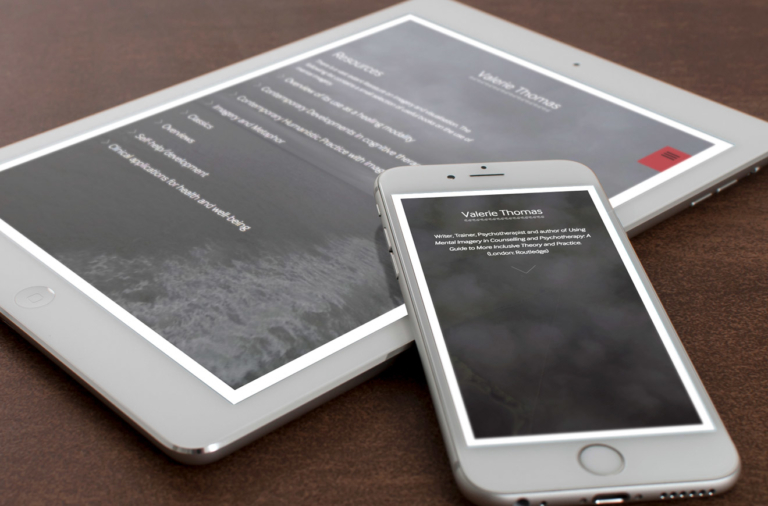 With her new book, Using Mental Imagery in Counselling and Psychotherapy: A Guide to More Inclusive Theory and Practice, published by Routledge in 2016 and another in the works for 2018, Valerie Thomes was seeking a website design that reflected both the nature of her practice and writing. 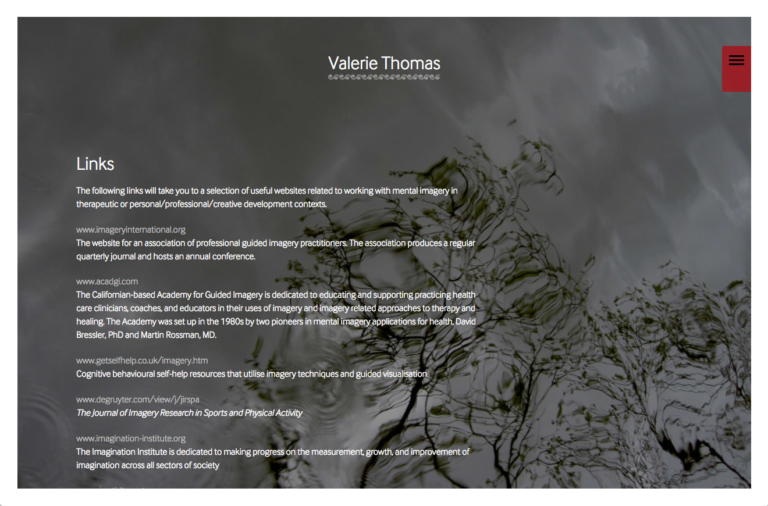 Valerie has been developing the use of mental imagery to shed light on therapeutic and creative processes. 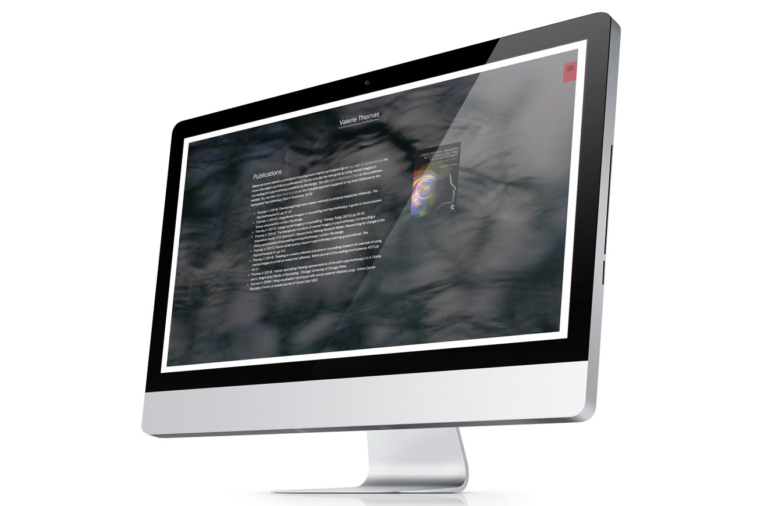 This provided us with an interesting starting point in developing the imagery and design of the site. 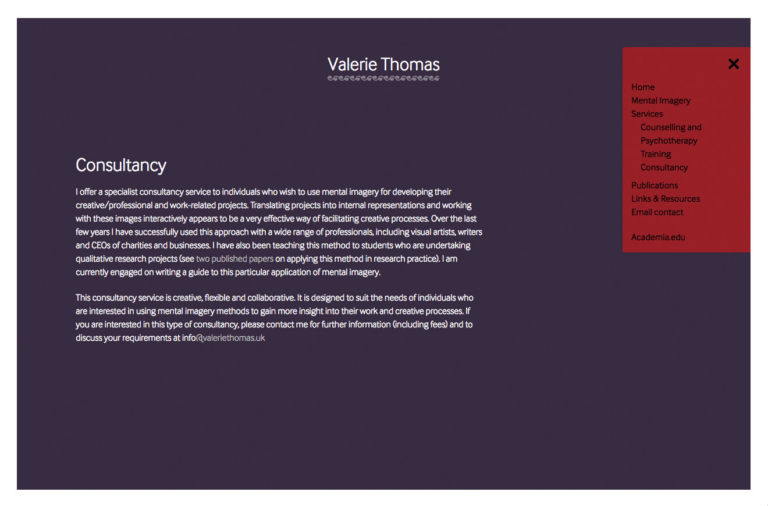 We created a subtle navigation, along with well-considered page transitions that reflected – and were sensitive to – the deeper themes of Valerie’s work.